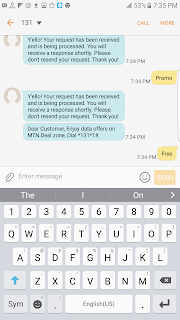 The MTN 100% data bonus is back in 2018 and we'll show you how to activate or subscribe to it. It's really some simple step or trick that will easily get you MTN double data for the normal price. 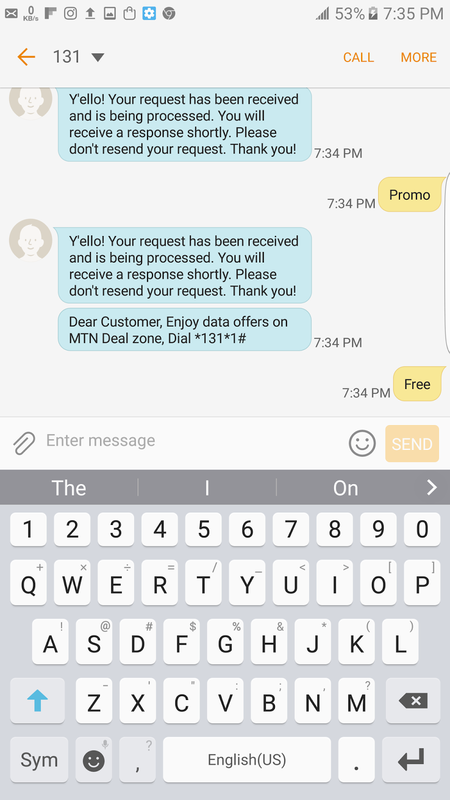 No much technical effort is required, no tweaking of Android IMEI like the method we used in this post some months ago, it worked back then but somehow MTN network found out a lot of people embezzled it which led to a block. Today, we had come up with this latest brand new method which worked as at December 2017 into the new year 2018. These should be sent separately. What this means is, send Double first, thereafter send Promo, then send Free. Upon sending DOUBLE, you should receive a response stating your request has been received and is being processed. You may also receive a message stating the SMS instruction you entered is incorrect. That shouldn’t bother you. Go ahead and send the other words to same 131.